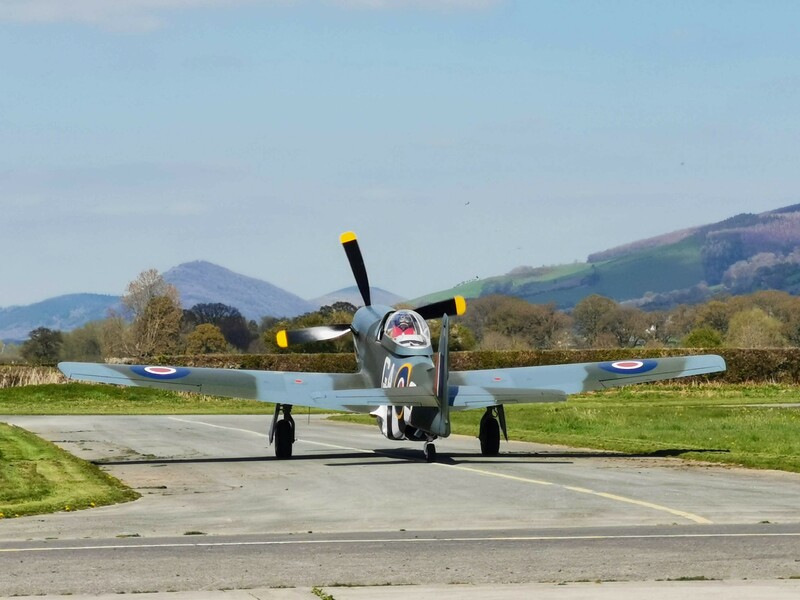 You never know what delights are in store when you open the hangar doors in the morning at Welshpool and yesterday was no exception. 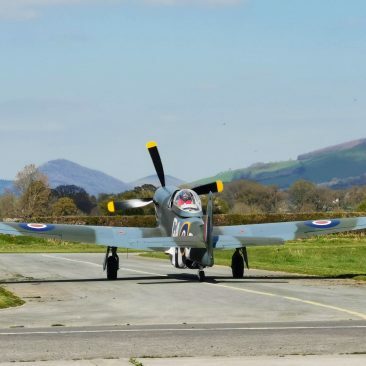 The sun had been shining all day and it had already been a very busy day at the airfield, with arrivals from all over the country. We had an extra special treat at around 15:30 when the unmistakable sound of a Packard Merlin V12 engine roared through the overhead, and proceeded to do some low passes and a landing. 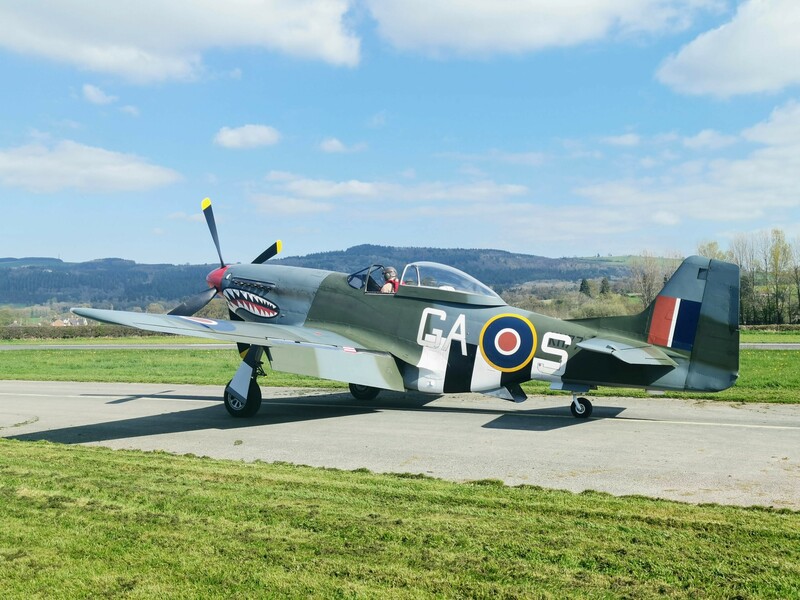 After a short tea stop at The Fuel Stop Cafe, many watched as the beautiful aircraft took to the skies again to depart back to Duxford… a 30 minute trip for the Mustang! 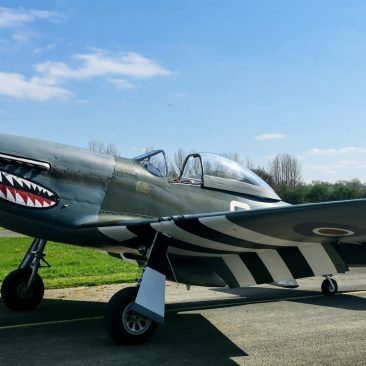 The Shark was built by North American Aviation in July 1945 and served with the USAAF at several training units before being transferred to the Canadian Airforce where it served from 1951 – 1959. 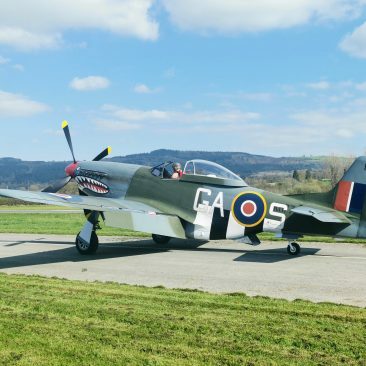 It was bought by a civil owner in 1980 and restored as ‘Old Crow’, during it’s time as Old Crow it starred in a number of movies including ‘Empire of the Sun’ and ‘Memphis Belle’. In 2012 the Shark was sold to it’s current owner and placed on the English register as G-SHWN. It now wears the scheme of the Royal Air Force’s 112 Squadron. 112 Squadron Mustangs served in Sicily and Southern Italy during the latter stages of the Second World War. It cost $2,100,000 and around $3500 per hour to run!